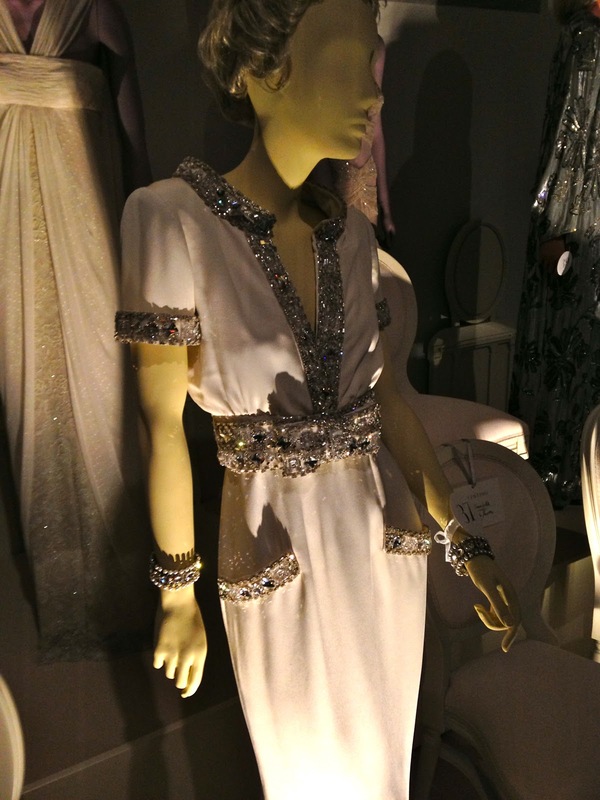 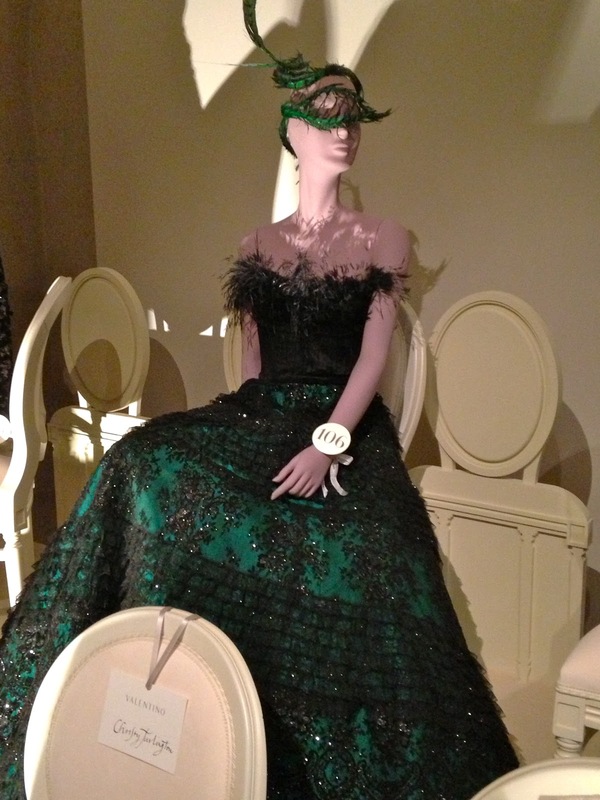 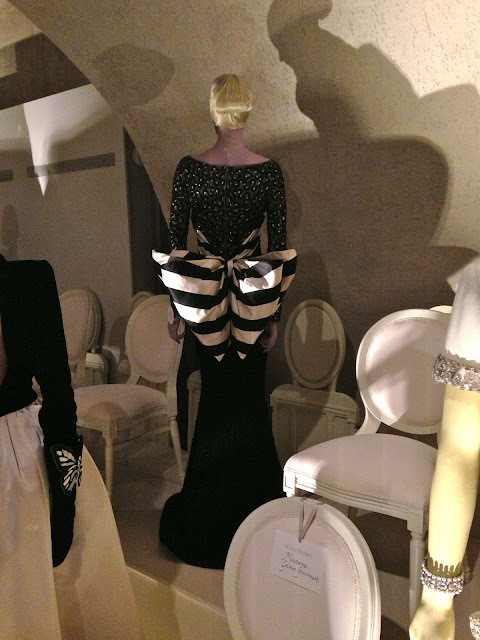 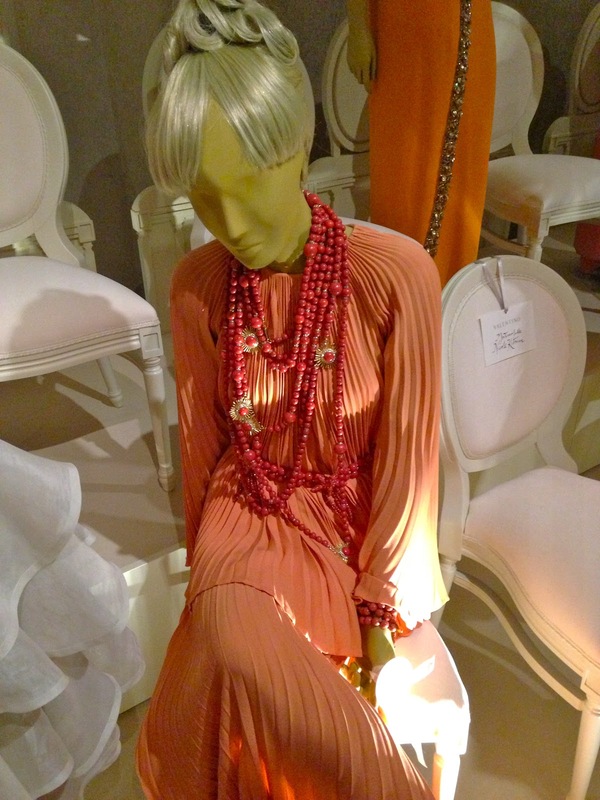 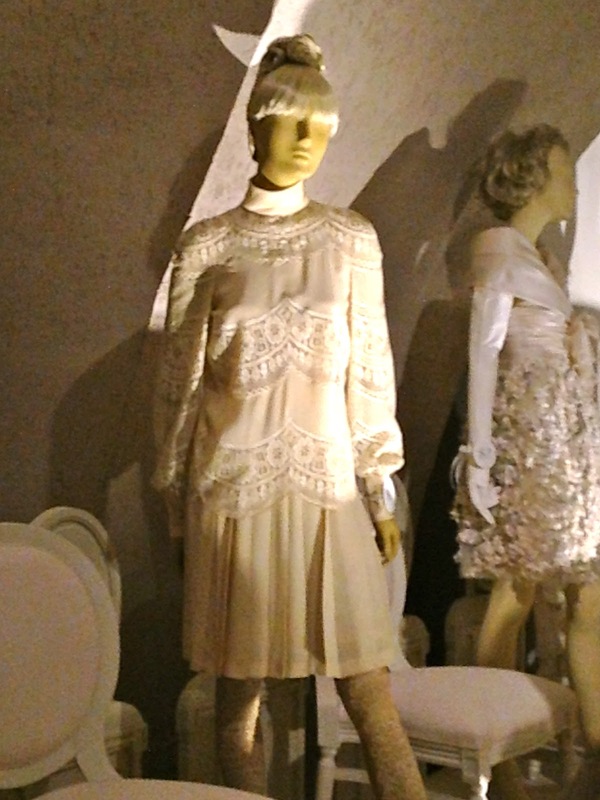 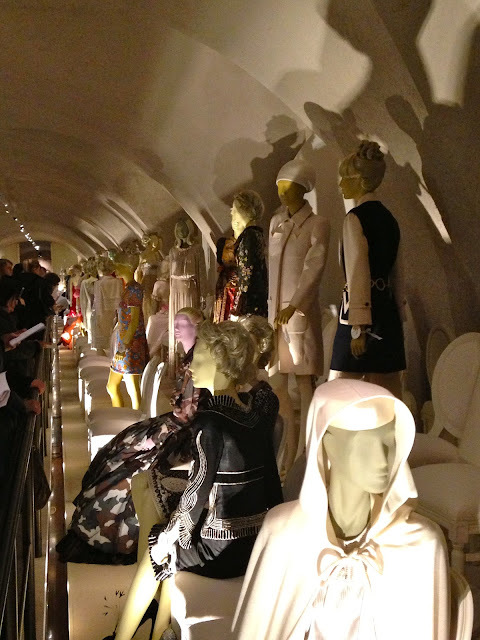 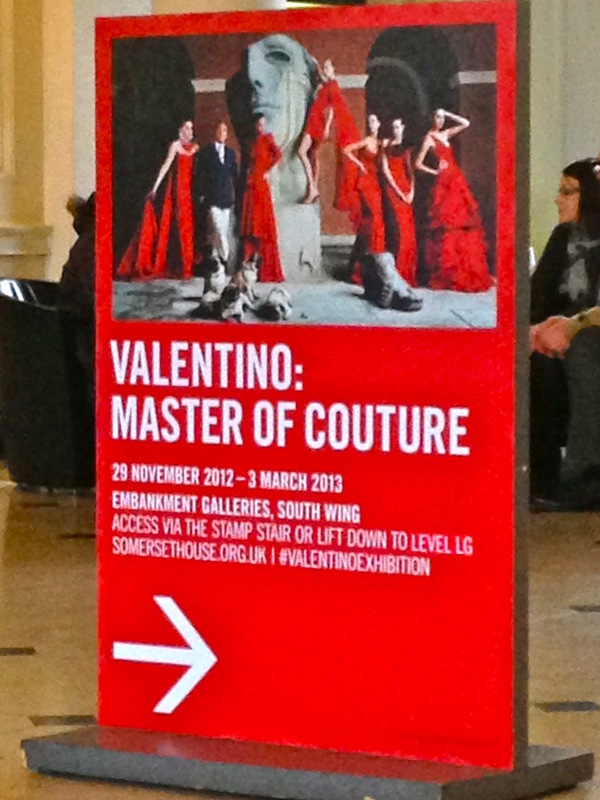 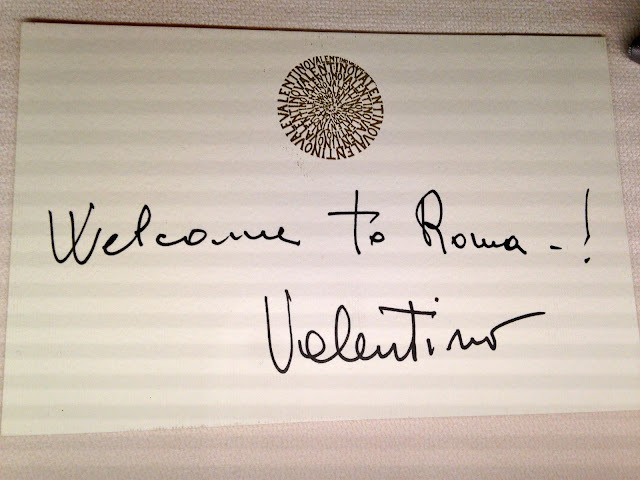 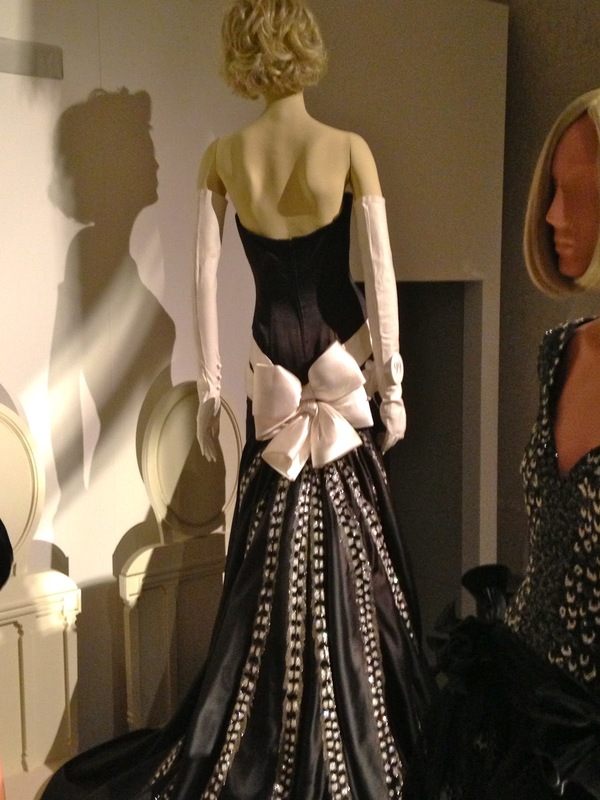 Last week I went to Somerset House to view the new Valentino exhibition, which takes place through March 3rd. The exhibit celebrates the life and work of Valentino and showcases his haute couture creations, many of which have been worn by famous socialites and celebrities. 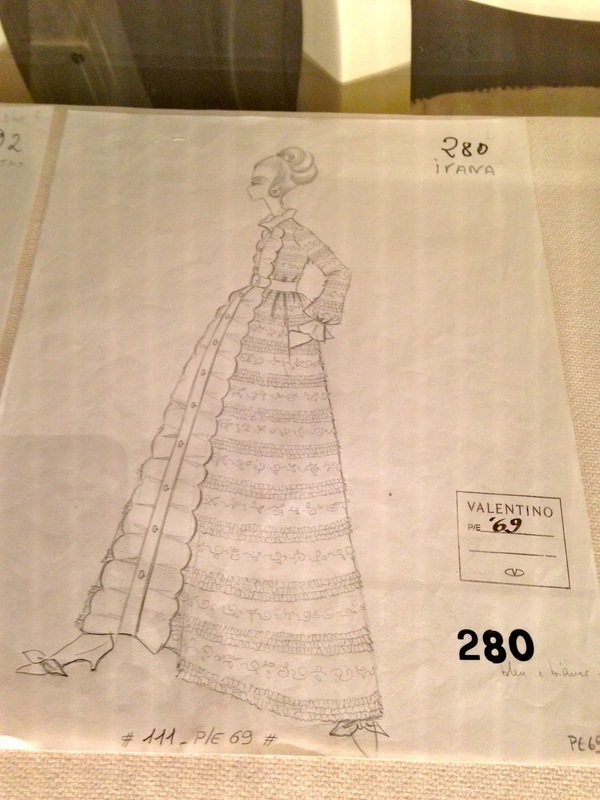 The exhibit begins with letters, photographs and illustrations from Valentino's own personal archive. 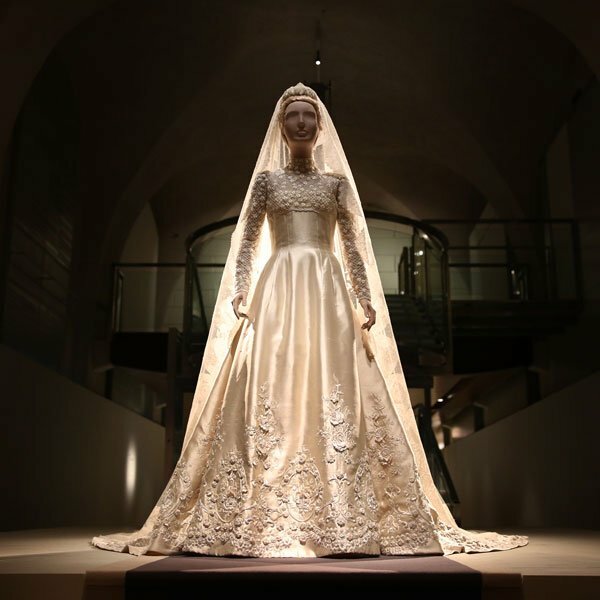 The exhibition then unfolds into a couture fashion show where roles are reversed with visitors walking the catwalk to view a staggering 130 Valentino haute couture designs. 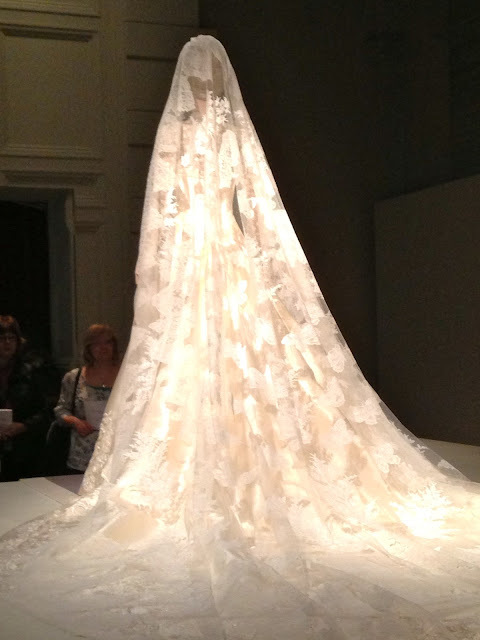 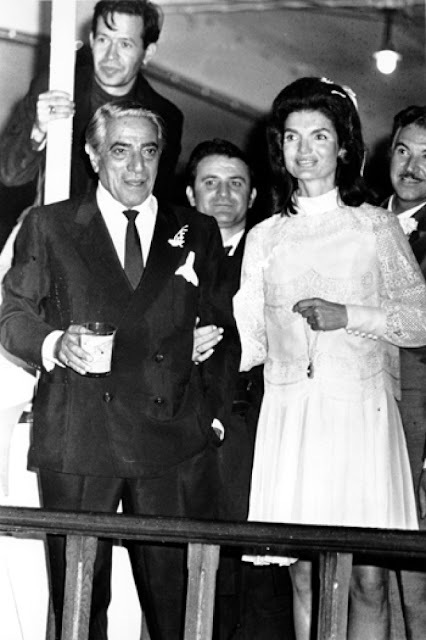 The show culminates with the dramatic hand-stitched wedding dress worn by Princess Marie Chantal of Greece. 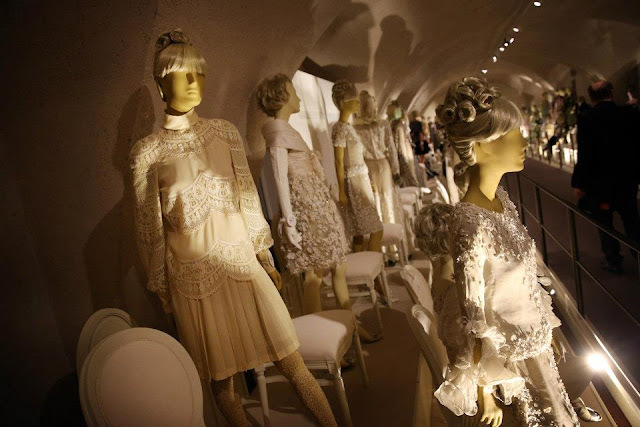 This awe inspiring creation took twenty-five of Valentino’s seamstresses to make, featured 12 kinds of lace and had a nearly 15 foot train. Valentino: Master of Couture opened on November 28th during a private VIP viewing, which was attended by King Constantine and Queen Anne-Marie, Crown Princess Pavlos and Princess Maria Olympia of Greece, Princess Beatrice and Princess Eugenie of York and their mother Sarah, along with a number of London’s high-flyers. 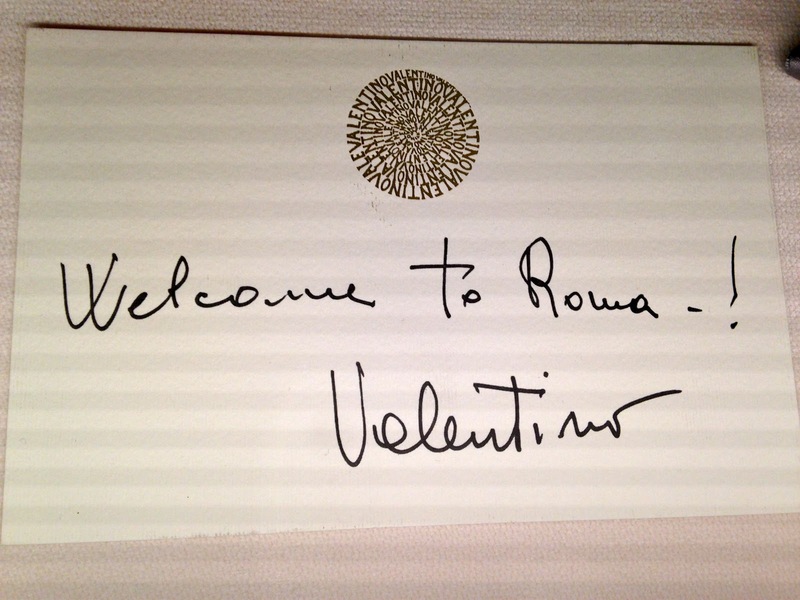 And of course, Mr. Valentino himself.